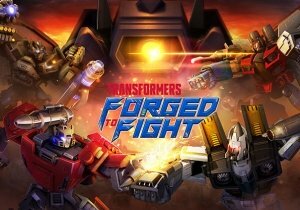 One of Megatron’s most loyal soldiers has arrived in Transformers: Forged to Fight. The mighty Scorponok from the Transformers: Beast Wars universe has come to do battle. He is a Warrior-class Transformer and is strong versus Transformers such as Megatronus and Prowl, where his weaknesses lie in Grimlock and Shockwave. When filling a bar of Power: Gains a Venom charge, granting him +20% Attack. Heavy Attack: Scorponok’s poisonous cyber-strikes converts each Venom Charge into a 12-second Backfire Debuff on the opponent. Critical Melee Attacks: 30~40% chance to Bleed, dealing 40~60% of Attack over 4 seconds. Special 1 – Daze and Destroy: Scorponok’s robotic bee Dazes the opponent, causing their Basic Ranged Attacks to Miss 60% of the time and Ranged Special Attacks to Miss 100% of the time for 7~ 9 seconds. Special 2 – Tunneling Terror: Converts each Venom Charge into a 12 second Backfire Debuff on the opponent. Special 3 – Predacon Persecution: Scorponok’s robotic bee Dazes the opponent, causing their Basic Ranged Attacks to Miss 60% of the time and Ranged Special Attacks to Miss 100% of the time for 16~ 24 seconds. Lucent Heart is celebrating its one year anniversary today with a month-long series of special events.